How are you going? I am very sorry for the delayed response to my emails and reminding you of the fantastic memories we shared in Nepal with White-water Adventures Nepal/Adventure Hub Nepal. We have been very busy try do too many things in one go in Nepal and continue with all of our projects, but for now, we are all done for this season and we are looking forward to 2018. The 2018 season will begin again in spring which starts from February right through until May and the fall season will be busy which will start from September and finish in November. 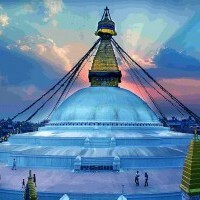 We would like to say thank you very much for coming along on our unique trips and continuing to support local jobs and the local economy and tourism sector in Nepal. 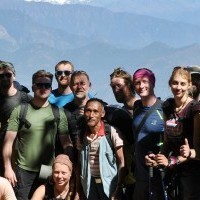 Additionally, Whitewater Adventures Nepal/Adventure Hub Nepal appreciate a great deal your contribution to the Nepalese community and our staff can’t thank you all enough. 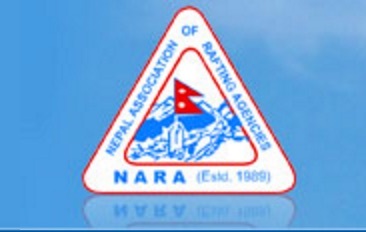 To be really honest they are so happy about giving you guys the opportunity to do adventure trips in Nepal. 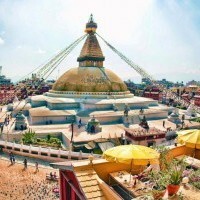 Our staff take great pleasure and appreciate the opportunity in giving you excellent service and experience and show you guys Nepal and its culture. We hope you all had a great time in Nepal doing Trekking, Biking, Rafting, Kayaking and exploring Nepalese culture. We are looking forward to seeing you guys one day again on the water or joining us for a trek somewhere around the globe or even in Nepal you never know. We must acknowledge the traffic problem in Nepal and we hope you can understand the complexities of this and appreciate that it’s out of our hands! We still hope you all experienced the trip of a lifetime! This is just a quick update and with some memory & photos from your trip. Please note: We are also taking next year Easter trip bookings now which will be eastern Nepal and four different river dates are 1st – 15th April 2018. This is a kayaking/rafting trip lead my Georgia Bhandari together with the Whitewater Adventures Nepal team. Please check the website for full itinerary and details. We also have our third Yoga and Meditation retreat trek in the Annapurna region starting from 27th September and finishing on 11th October 2018. This will be the most amazing trip and we encourage you to join us. This trip will Lead by Ram Bhandari and Samantha Godson from Dharma Circle. rallying the crews for these lovely adventure holidays to Nepal. Thank you for believing in us and supporting our cause of providing adventure holidays and also giving back to the local communities of Nepal at a grassroots level in whatever way we can. When you get a little bit of time can you please click in onto this link and fill out the feedback form, we will always try to improve in our organization and service and we appreciate your feedback very highly. We encourage you to keep doing adventure holidays and see you guys on the trek or water sometime soon. Take care, enjoy the festive season and Merry Christmas and Happy new year to everyone. Just the quick update that we will be running a trip to Tibet from 2019 if anyone interested watches out for email or facebook update from us.